The most anticipated, and yet most teasing, event may or may not be happening as Democratic candidate Bernie Sanders and Republican nominee Donald Trump dance back and forth over negotiations to hold a debate. The hubbub began when Hillary Clinton announced that she was backing out of the previously-agreed-upon plan to hold a final Democratic primary debate in May. 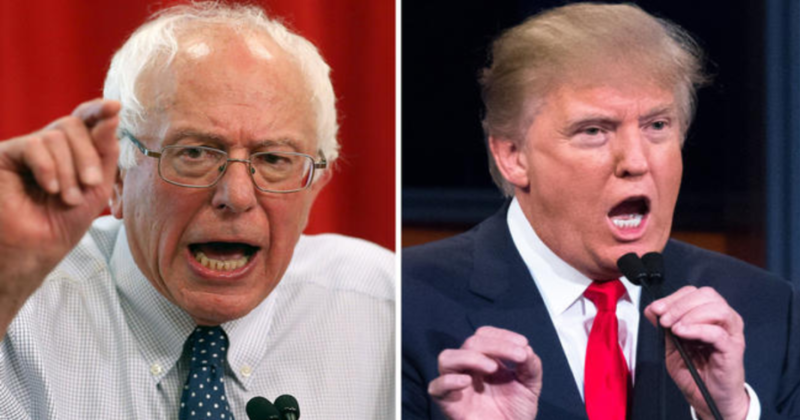 Then, online media sources like The Young Turks began to call for a debate to be held between Trump and Sanders since both represented anti-establishment values. During an appearance on “Jimmy Kimmel Live,” Trump said that he would be willing to debate Bernie, to which Sanders replied in the enthusiastic affirmative. There has reportedly been some communication between the campaigns about a possible event, but so far no concrete plans have been announced. Online media outlet The Young Turks has offered to give one million dollars to the charity of the candidates’ choice if the two will agree to debate on their network. Host and founder Cenk Uygur issued the challenge to Trump, saying that the 10 million he asks for is an unrealistic number and that the million is ready and willing to go to the charity of his choice. Sanders, who has appeared more than once on the network would no doubt agree to the terms. Now all we can do is wait with baited breath to see if this once-in-a-lifetime event comes to pass.